Capacity:210 bhp. 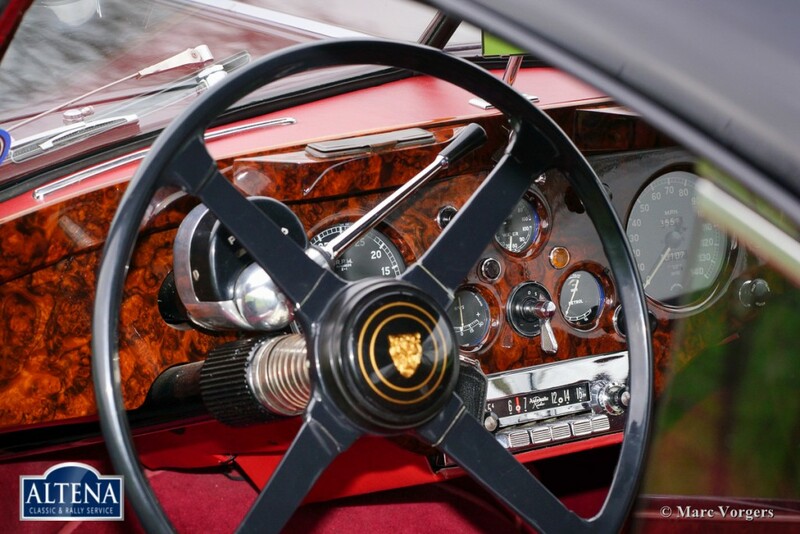 at 5750 rpm. 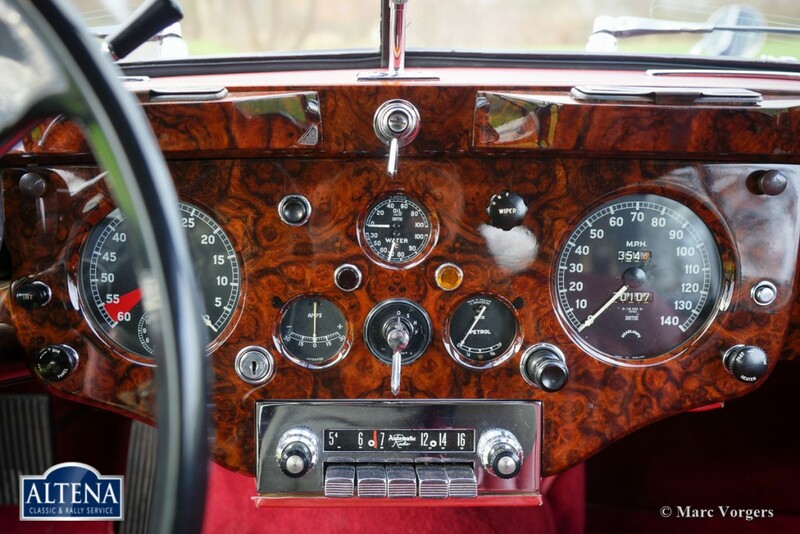 Top-speed:129,3 mph. 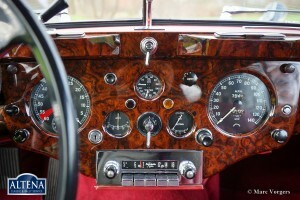 - 208 km/h. 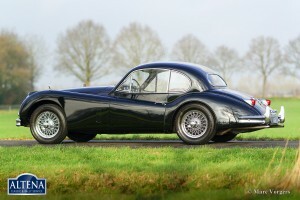 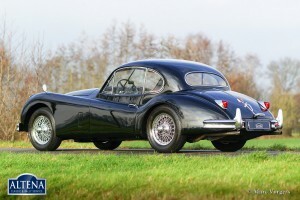 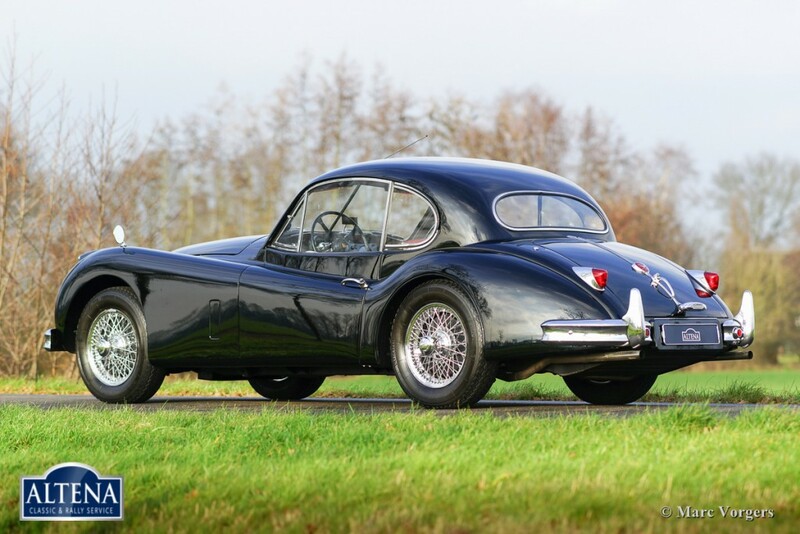 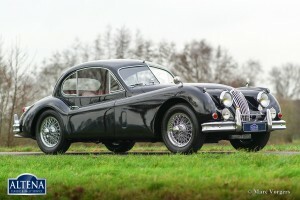 Jaguar XK 140SE FHC (Special Equipment – Fixed Head Coupe), year 1956. Chassis number S8154XX BW, engine number G671X-XSK. 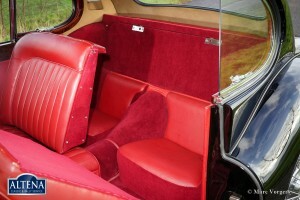 Colour black with a red leather interior and red carpet. 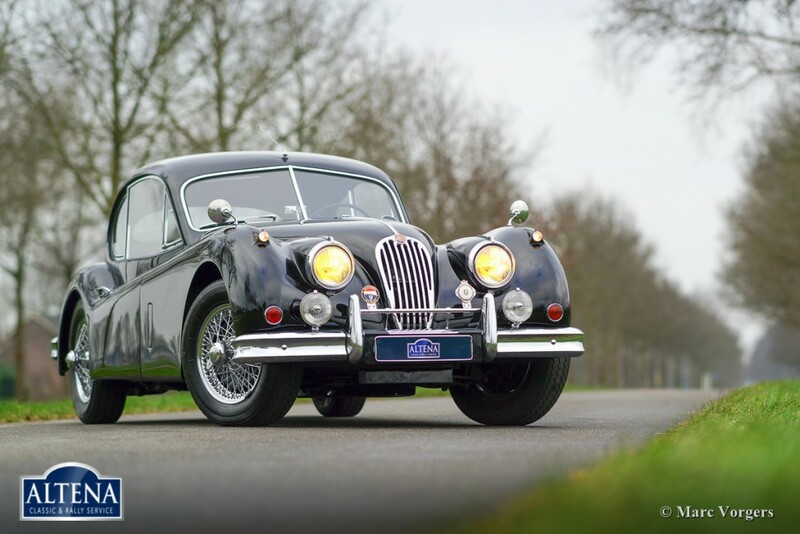 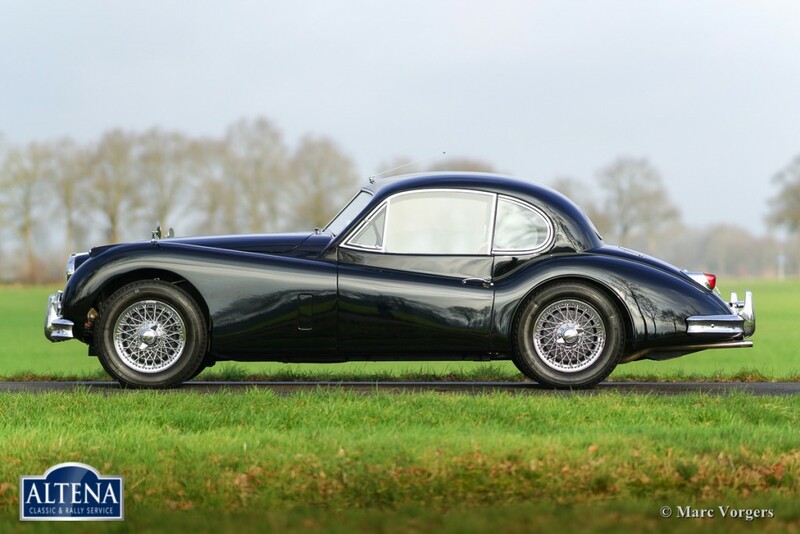 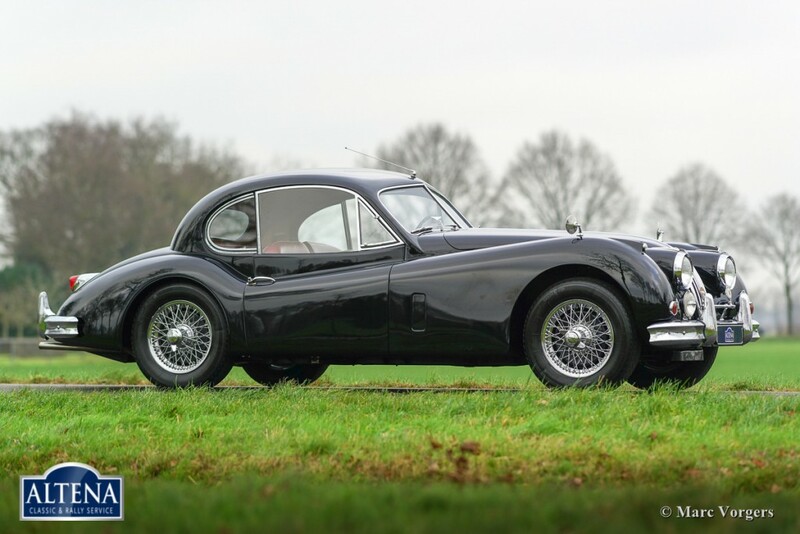 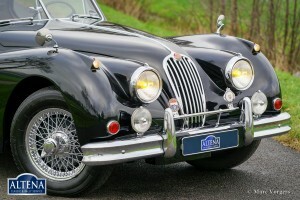 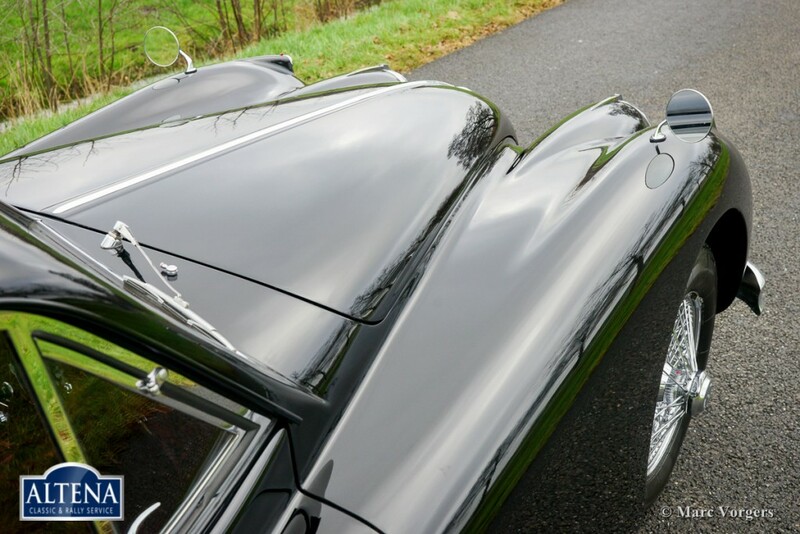 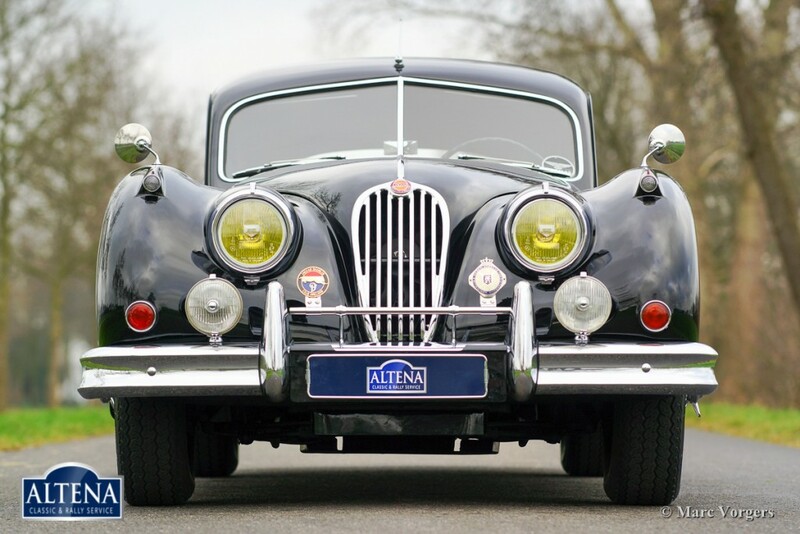 This stunningly beautiful Jaguar XK140SE has matching numbers, matching colours, and the car is in superb condition! 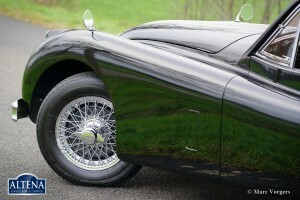 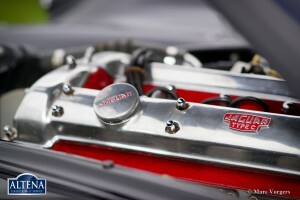 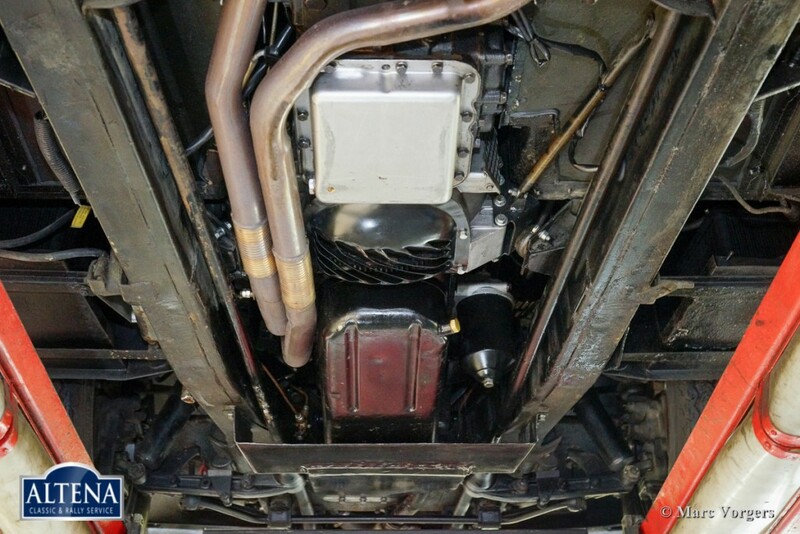 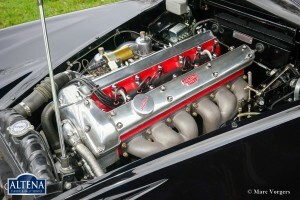 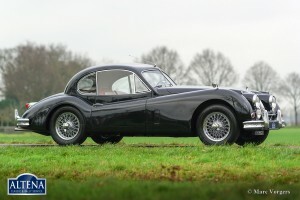 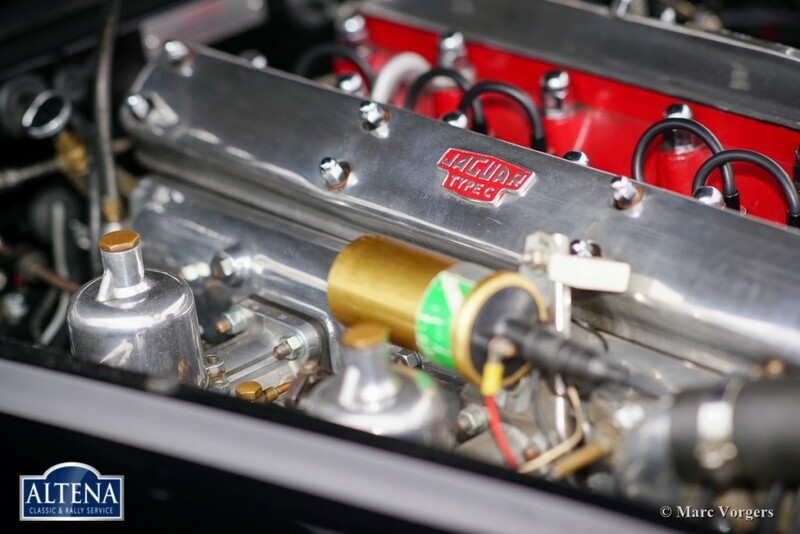 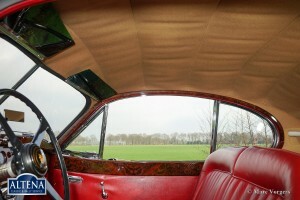 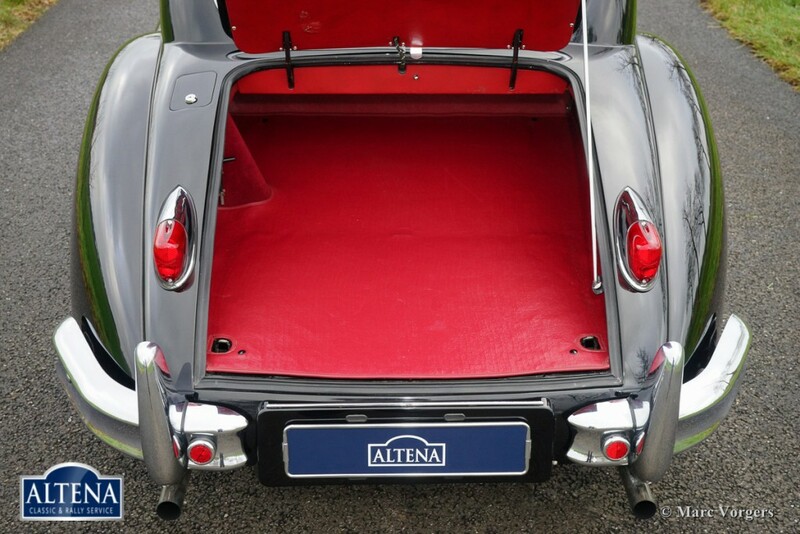 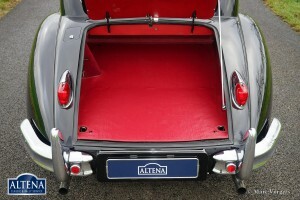 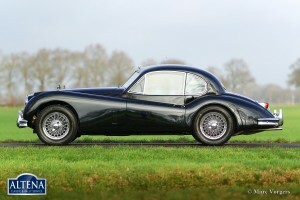 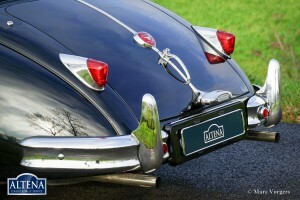 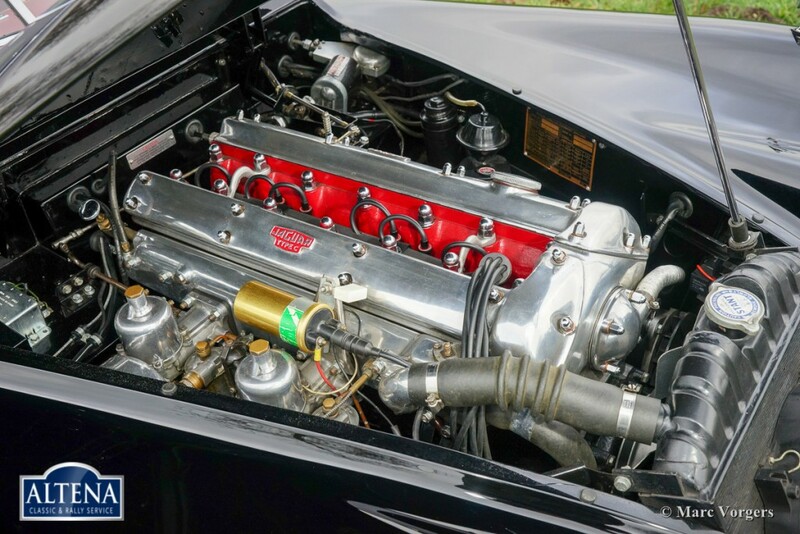 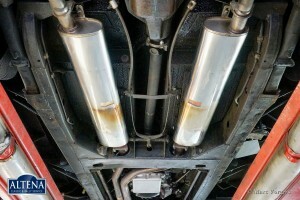 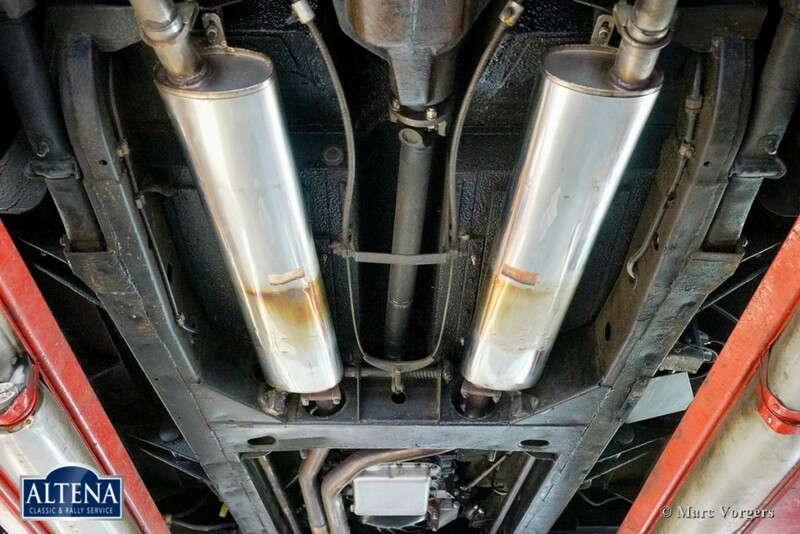 This XK140SE is factory fitted with the Special Equipment (SE) package (amongst other a special C-type cylinder head). 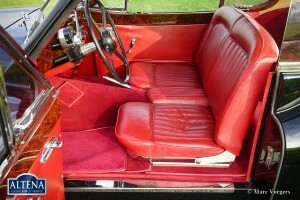 The car shows crisp body lines and panel fit and all the original details can be admired. 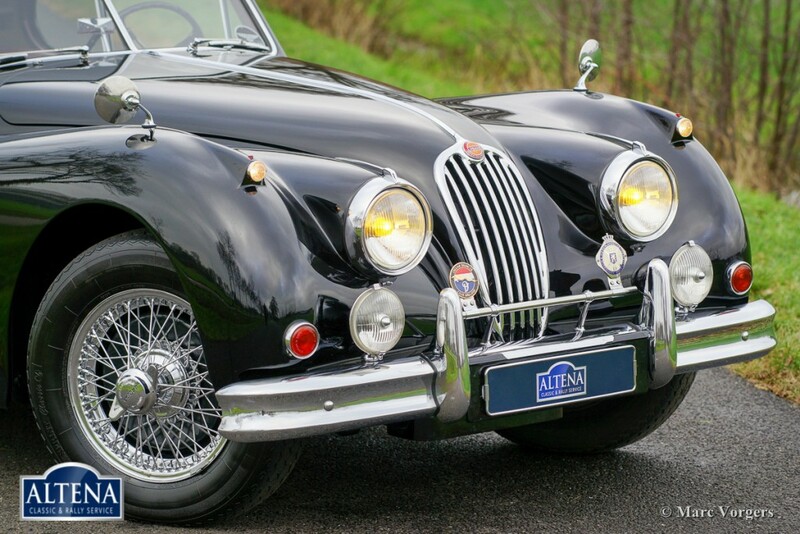 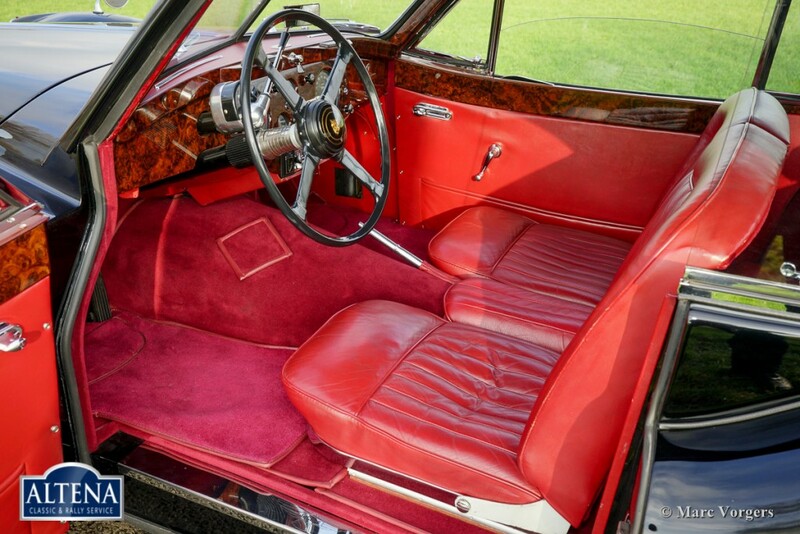 This XK140SE is factory fitted with an automatic gearbox. This is very rare, only 25 cars of this type have been given the Borg-Warner 3-speed automatic gearbox. 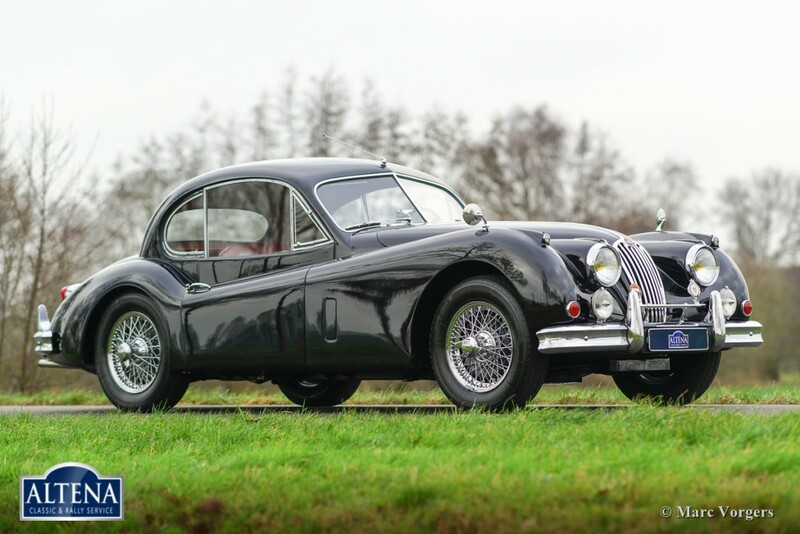 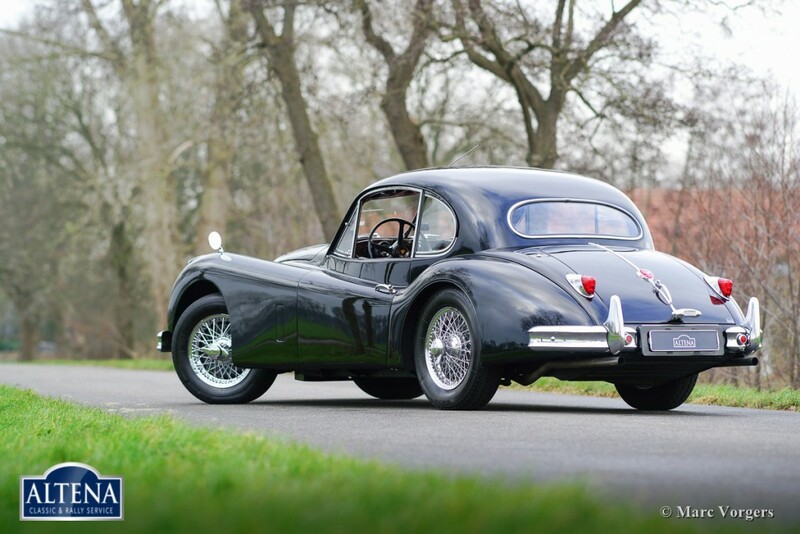 We are not sure but this could be the ONLY XK140 fitted with Special Equipment AND the automatic gearbox! 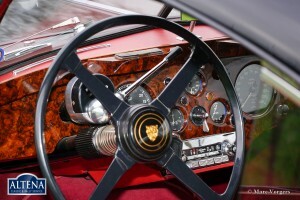 The automobile features chrome wire wheels and a beautiful classic radio in the walnut dashboard. 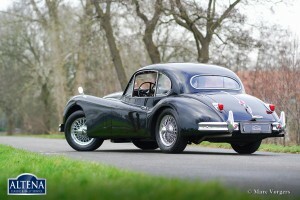 The car drives fantastic and the gearbox shifts perfectly. 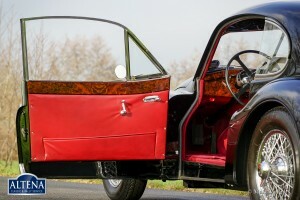 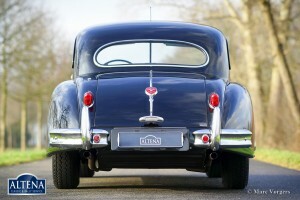 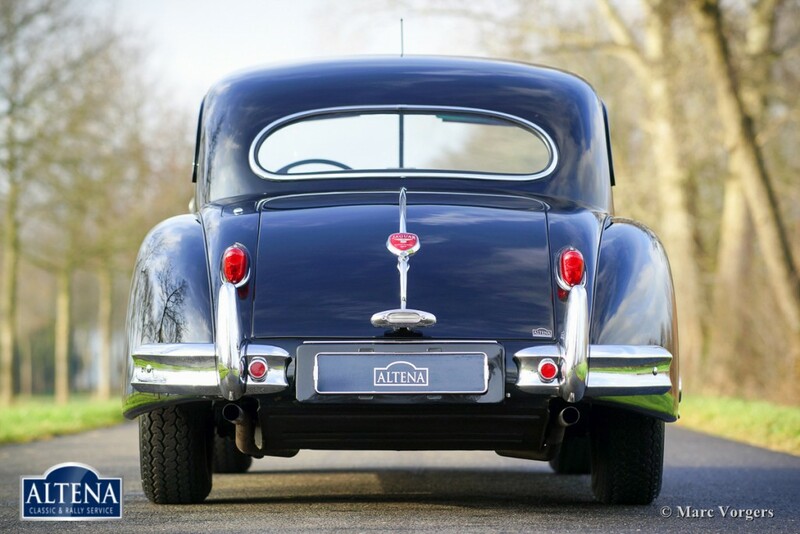 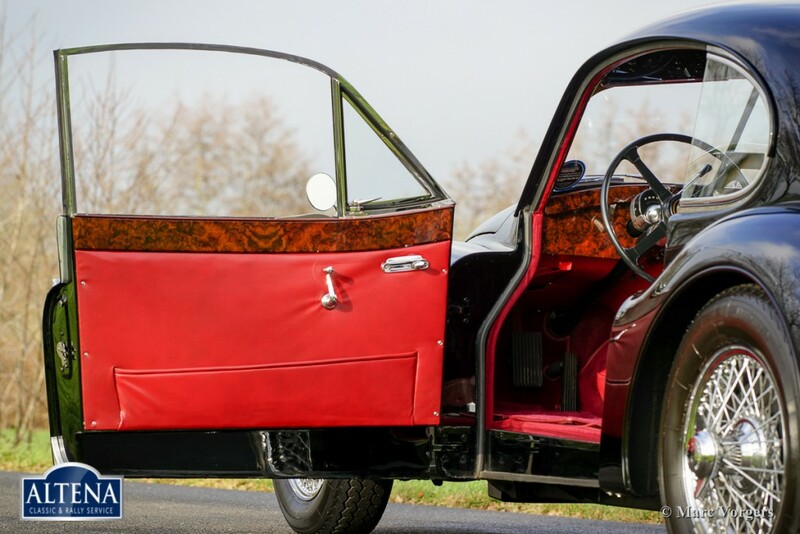 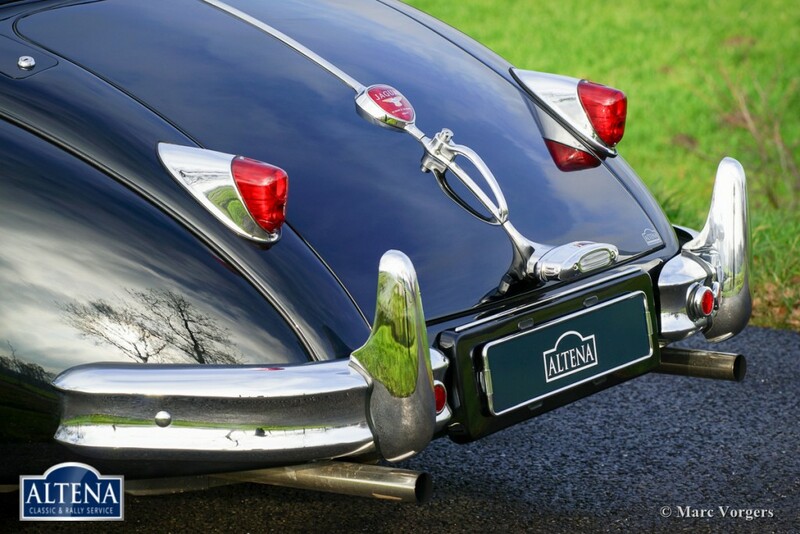 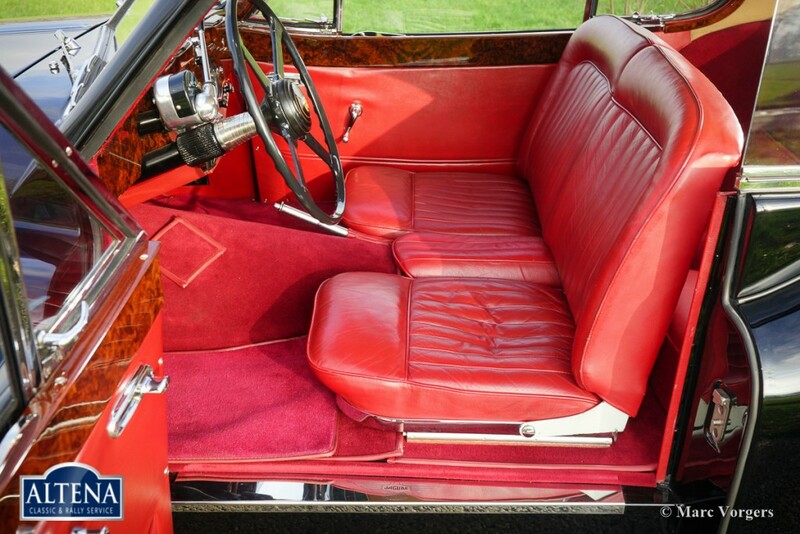 The car comes with a Heritage certificate; the car looks exactly like it left the factory on 15 March 1956.